For a delightful display that sings of farmhouse charm, then we present our Mini Pumpkin Vase, combining some of the best flora that the season has to offer. Graceful blooms of cream lisianthus combine with the gentle pink of the classic rose to bring an element of refinement to this lovely arrangement. 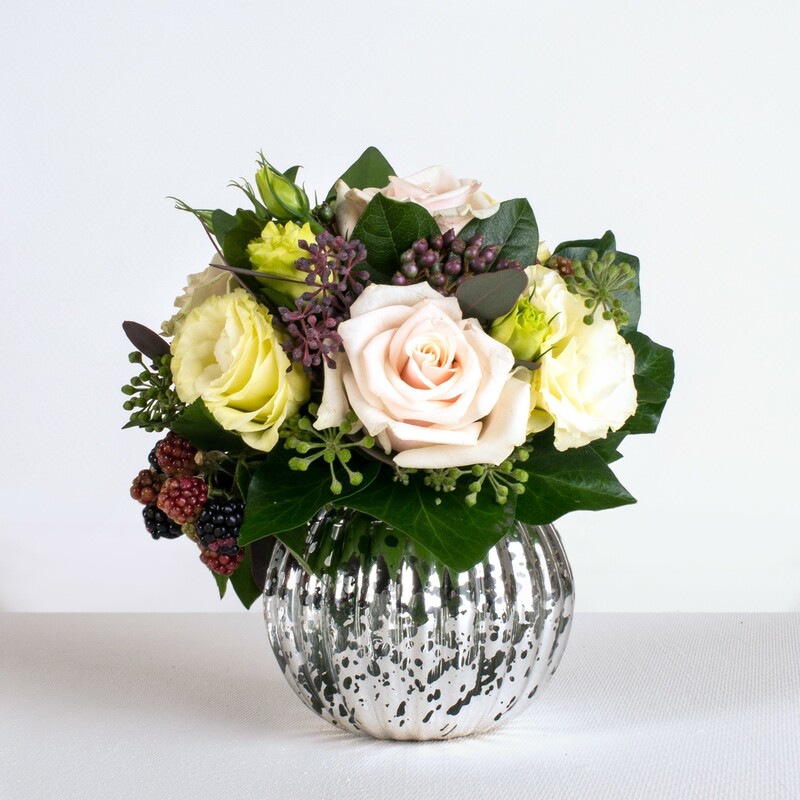 The rich claret and purple hues of blackberries and steelberries offset the pastel flowers beautifully, making this a gorgeous little arrangement that encapsulates the last blooms of fading summer, while incorporating the coming bounty of autumn. The burnished metal antique vase adds a touch of rustic appeal, and makes it the perfect centrepiece for any table.